It’s no secret that building construction creates an excessive amount of waste: the EPA estimates that the U.S. produces more than 136 million tons of construction and demolition (C&D) debris each year. Dozens of government-run recycling initiatives have started to help mitigate this issue, and many construction companies, like Reno Contracting in Southern California, launched their own programs to much success. Reno recently announced that they have recycled more than 60,000 tons of construction waste since the beginning of 2009. That’s enough garbage to bury three football fields under 100 feet of trash each. The 60,000 tons account for 72 percent of the company’s construction debris from the last two years. The recycled materials include metals, cardboard, concrete, asphalt, wood and landscaping debris. More than half of the projects involved have met or will meet LEED certification. The LEED rating system for commercial construction awards points for recycled building materials: one point if 50 percent of all materials are recycled and two points if 75 percent is recycled. Reno Contracting launched its Efficient Sustainable Practices business group, which aims to help commercial building owners enhance the sustainability and energy efficiency of their new and existing buildings while driving down operating costs with eco-friendly developments. 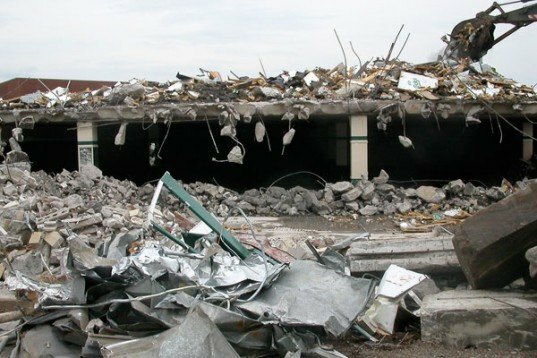 It's no secret that building construction creates an excessive amount of waste: the EPA estimates that the U.S. produces more than 136 million tons of construction and demolition (C&D) debris each year. Dozens of government-run recycling initiatives have started to help mitigate this issue, and many construction companies, like Reno Contracting in Southern California, launched their own programs to much success. 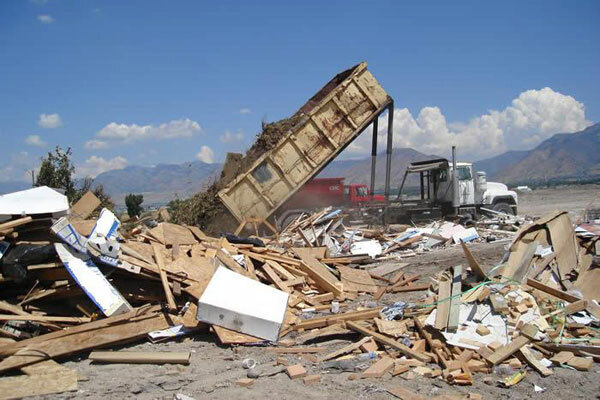 Reno recently announced that they have recycled more than 60,000 tons of construction waste since the beginning of 2009. That's enough garbage to bury three football fields under 100 feet of trash each.